A perfect mixture of flowers, Campbell's soup, and chocolate. Perfect for that friend or coworker has been feeling sick and needs a pick me up. 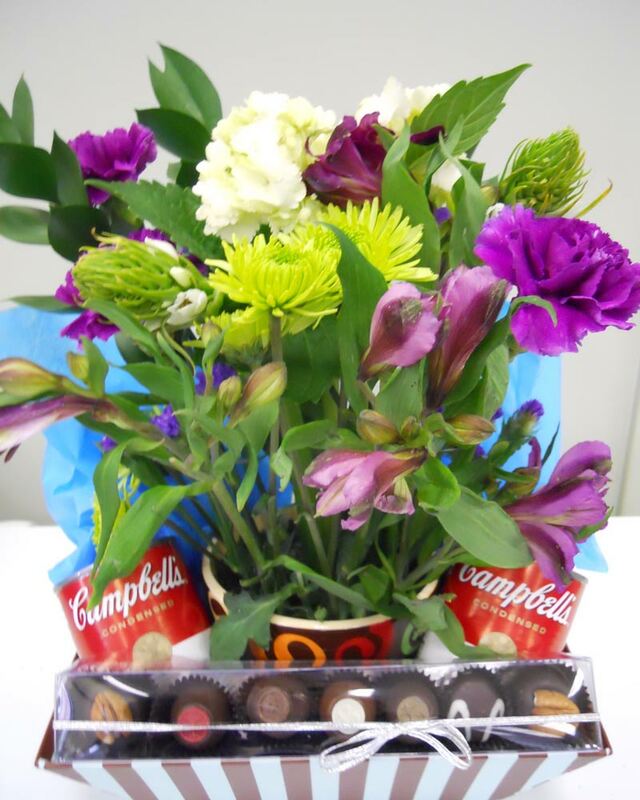 Click the button below to add the Get Well Soup and Flowers to your wish list.